Steve is co-director of EHS Projects and has the necessary eye for detail that keeps both the company and clients on the right track. He has worked in a number of senior posts including holding directorship of a successful independent environmental consultancy and a multidisciplinary international engineering practice. As a career consultant Steve has experienced most environmental and sustainability disciplines innovating delivery in response to a changing market and setting new standards. Having worked with major international brands across most sectors over the years he brings a wealth of knowledge in all forms of consulting including strategy development, identification and delivery of efficiency and improvement projects, compliance management, systems development and a fresh approach to collaboration to unlock the potential within the value chain. Steve is a co-founder of BEAM, EHS’ sister company which together with Rob Habgood and a highly motivated creative team is delivering cutting edge innovation in training, engagement and reporting. Rob is a Director of EHS Projects. His role is to drive forward the company’s capabilities to deliver high quality and innovative support services. He specialises in working with companies that seek to lead Environmental, Health and Safety performance, sometimes working in the most challenging of environments. From setting strategy to delivering project management initiatives, Rob’s aim is to ensure EHS Projects provides the ideal support function for our clients. 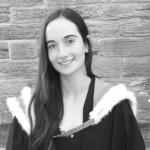 Cath’s main role revolves around analysing data and producing insightful and meaningful information from it. Particularly specialising in sustainability, environmental and carbon reporting solutions, Cath provides large UK businesses and organisations with carbon footprints, regular key performance indicator reporting, strategy development support and supply chain collaboration support. She is also proficient in the variety of legislation surrounding carbon and climate change in the UK, and supporting clients to maintain compliance. Cath’s attention to detail and organisation makes her ideal as EHS Projects’ project manager, drawing up and maintaining the plans key to ensuring effective delivery of all our projects. Sonia is responsible for both EHS’s Human Resource needs as well as Financial Administration. With many years management experience Sonia’s Human Resource role involves supporting employees and their development within the company. Alongside this role Sonia also deals with EHS Projects financial concerns from invoicing and credit control to payroll and pensions. She understands the need to meet our customer’s financial expectations at all times. 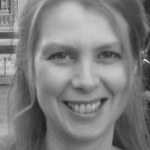 Jess is a Principal Consultant at EHS Projects and manages our legal compliance work. She has ten years experience of environmental management in the private, public and voluntary sectors, with a successful track record in implementing environmental management systems certified to ISO14001:2004 and providing ongoing auditing, legal compliance and training support. She has wide ranging experience of key regulatory regimes including environmental permitting and sustainable planning requirements, including BREEAM. Jess has worked for a number of private consultancies and also in close partnership with clients as a freelancer, and enjoys taking collaborative and informative approach to consultancy to add maximum value for clients. Rosie is a consultant at EHS Projects who brings an analytical and detail-oriented approach to projects. Rosie manages our regulatory compliance service, maintaining EHS Projects’ master Environmental, Health and Safety registers and compiling our legal briefing note each quarter. 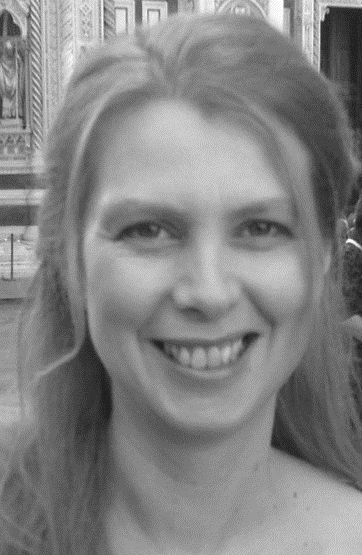 Working with major UK businesses, she has been involved in the delivery of a range of services, including the implementation of Environmental, Health and Safety management systems, the management and production of bespoke training packages, development of user-friendly reporting tools, and analysis of stakeholder and consumer trends. Richard is a consultant at EHS Projects. 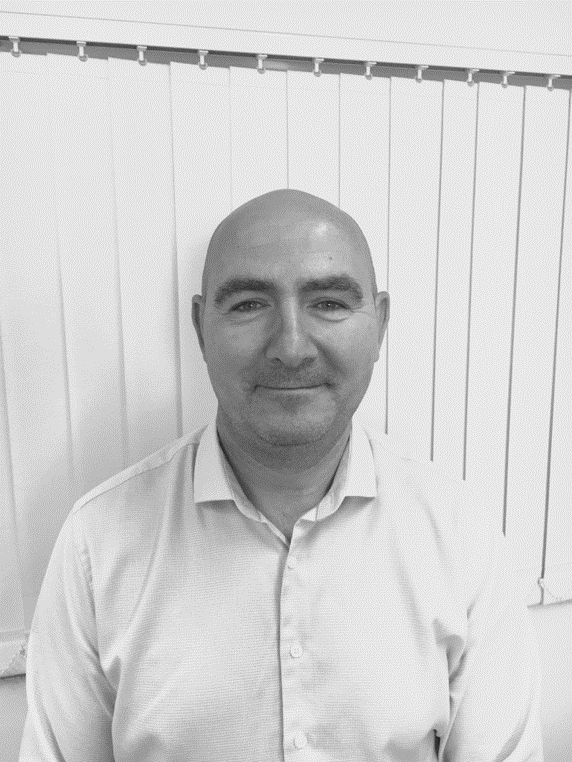 Richard’s main focus is in Health and Safety though he provides support and management across both Environmental and Health and Safety projects. Richard works with major UK businesses to manage Environmental, Health and Safety Management Systems, coordinate and manage interactive training programmes, complete legal compliance audits and provide quarterly legal updates. Richard has been involved in supporting companies in their achievement of ISO14001 and OHSAS 18001 certification and internationally recognised Health and Safety awards. In her role as a graduate consultant at EHS Projects, Rebecca provides support across a range of different health and safety, and environmental projects. She is involved in completing health and safety assessments for businesses in the food and drink industry, as well as providing auditing and compliance support. Dave Gillies has worked in the construction industry for over 25 years providing advice and guidance to companies enabling them to stay within policy and comply with relevant legislation. Dave has first-hand experiences of safe working practices when dealing with many hazardous work environments. 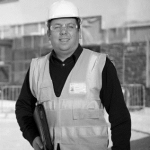 He is currently working towards CMIOSH and is an active member of the IOSH North West Construction Group. He has developed, delivered and lectured bespoke health and safety training for many companies, and is an approved trainer for IOSH and an examiner for NEBOSH. 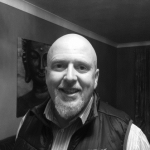 Dermot is a Health and Safety consultant with EHS, who engages with different businesses to ensure compliance and enable them to continually develop safety systems. 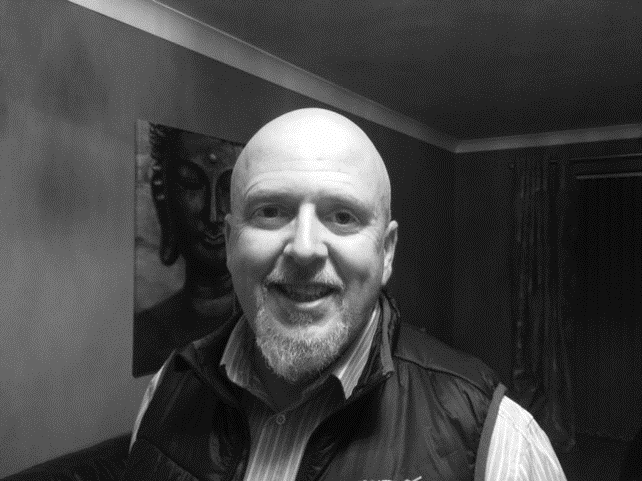 Dermot has 27 years’ military experience and has worked in various challenging environments around the world, with the last 5 years as a Safety and Environmental advisor delivering compliance to a large regional area. He has a pragmatic approach which enables him to deliver advice and guidance in a practical manner. Dermot is always willing to go the extra mile to deliver a professional service to the customer and is attentive to the needs of the customer. 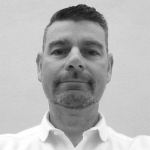 Stephen has a wide range of experience in delivering Health, Safety, Environmental, Quality, Emergency Response and Security support in regulated environments with potentially dangerous processes, over a period of 15 years. Implementing and maintaining integrated Business Management Systems within the facilities management sector, with a particular emphasis on achieving EHS improvement through training and development, engagement with employees and stakeholders, Stephen achieved a number of Business In The Community Example of Excellence awards. In addition to enhanced knowledge through auditing a diverse range of business within both the public and private sector, Stephen is permanently posted on site at Airbus Filton, positively driving Health and Safety standards forwards, through an EHS team ethos and collaboration with site stakeholders, which has subsequently led to significant improvements in site safety standards. 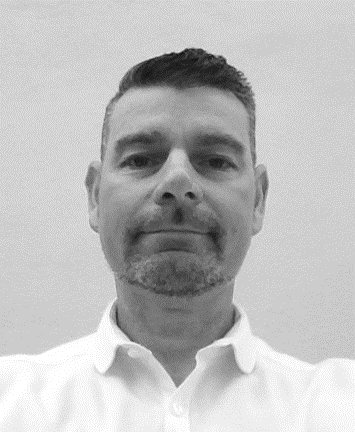 Rich has 20 years experience in the nuclear sector working in a range of roles including electrical maintenance and installation, training officer and contracts manager; immediately prior to joining EHS Projects he worked as an Emergency Planning Engineer. Rich works as a Health and Safety Consultant for EHS Projects permanently based at Airbus Filton, where he manages the contractor Health and Safety system. 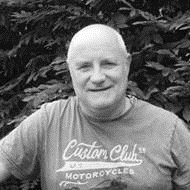 John is a Health and Safety consultant and has 38 years’ of experience in high hazard chemical manufacturing environments. He has extensive laboratory experience gaining Chartered Chemist and Chartered Scientist status. 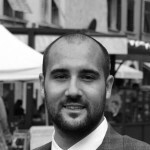 He has extensive management experience gaining a MSc in Manufacturing Management. John has a good technical understanding of chemical processing and problem solving. He has managed several European site SHE Managers, written and delivered numerous training packages covering all dimensions of manufacturing and safety. 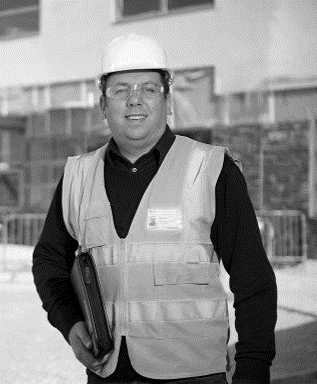 John has a wealth of knowledge and experience in the health and Safety field and delivering excellence to clients. 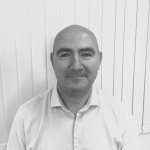 Simon has over 23 years as an Approved electrical engineer and has extensive knowledge in this field. Over the last 5 years Simon has been building his experience in contractor Health & Safety site management with experience within electrical & mechanical and food manufacturing throughout the UK. 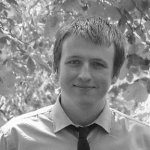 Simon is also a qualified Principle Designer where he has fulfilled this role with a global beverage company. Simon is currently a key member of the site safety team managing contractor site safety at Airbus, Broughton. Ben is able to bring his wealth of experience in sustainability to add to our in house capabilities. Ben has been an associate of EHS Projects for a number of years and has assisted on many of our projects and provided our clients with Energy and Sustainability advice. Specialising in Energy Modelling, Renewable Technologies, BREEAM and Sustainable Construction Ben and his team have provided services for both new build and retrofit projects for some of our biggest and most valuable clients. Ben has also been instrumental in our clients achieving planning permission for a number of schemes by undertaking Energy and Sustainability Statement to accompany Planning Applications. The California Climate Action Registry, among other global schemes and standards. 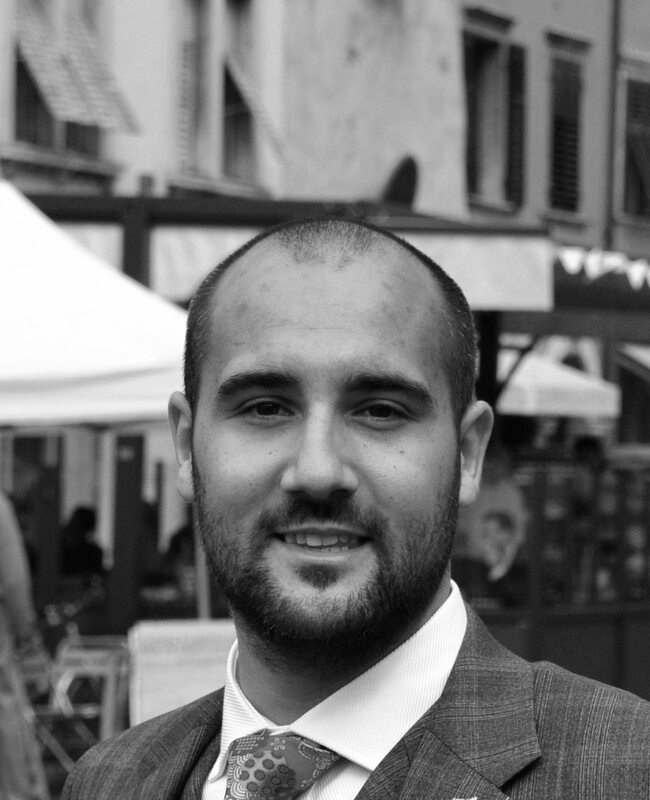 Dave is involved at high level with lobbying with UK and EC governments and agencies specifically in the interpretation and application of energy and environmental matters in Europe within the TBE section of European trade bodies. He is an accredited auditor for carbon regulatory schemes advising on what information and records are needed to comply with audit and verification work with third parties acting within these schemes and trainer in energy and emission reduction compliance schemes.